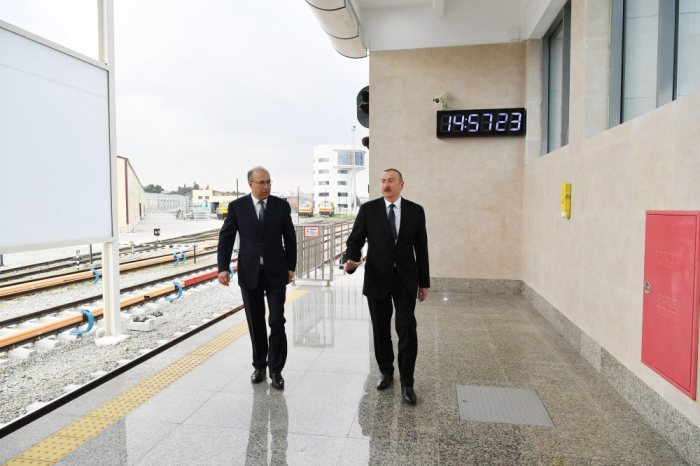 President of the Republic of Azerbaijan Ilham Aliyev has viewed conditions created at Bakmil station of Baku Metro after major overhaul. Chairman of Baku Metro Closed Joint Stock Company Zaur Huseynov informed the head of state of the work carried out here. The reconstruction work started in August, 2017. Commissioned in 1970, Bakmil has been operating as a station since 1979.